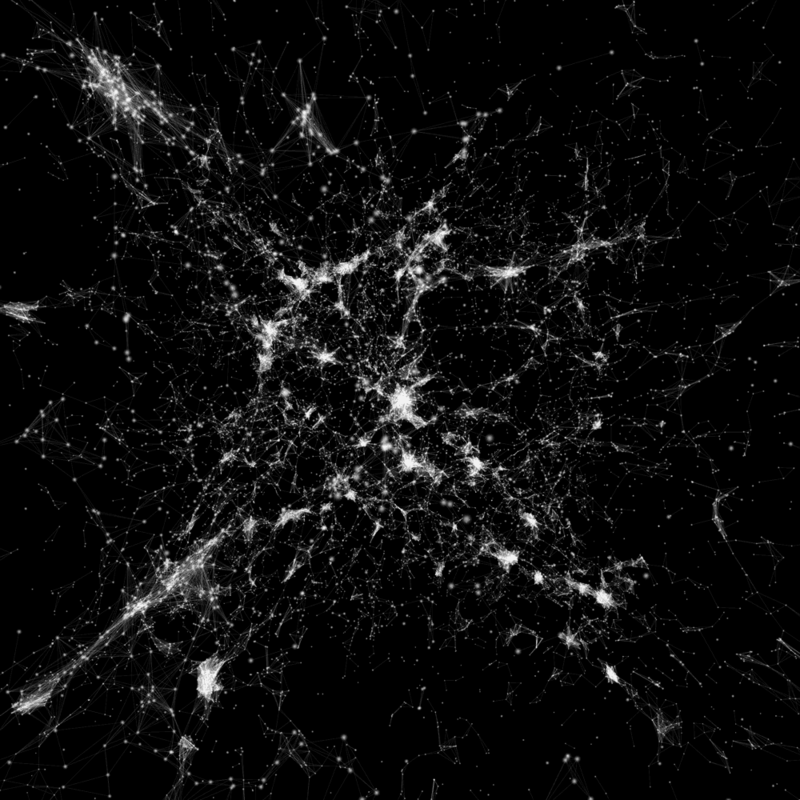 The concept of the cosmic web—viewing the universe as a set of discrete galaxies held together by gravity—is deeply ingrained in cosmology. Yet, little is known about architecture of this network or its characteristics. 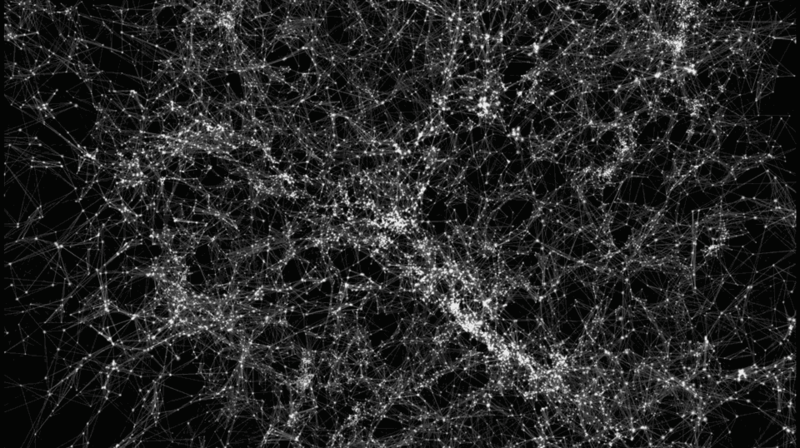 Our research used data from 24,000 galaxies to construct multiple models of the cosmic web, offering complex blueprints for how galaxies fit together. 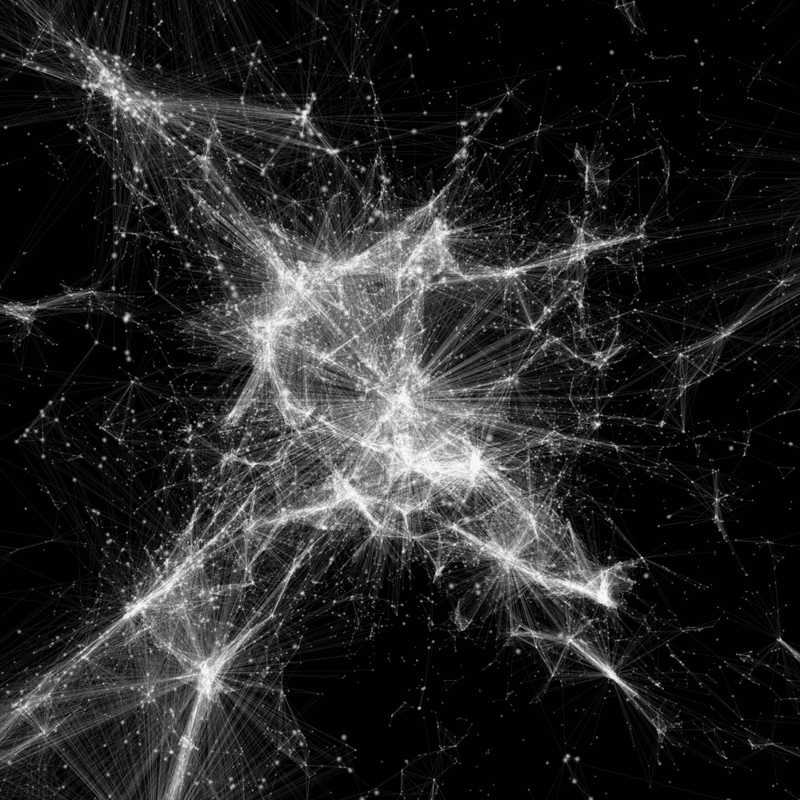 These three interactive visualizations help us imagine the cosmic web, show us differences between the models, and give us insight into the fundamental structure of the universe. 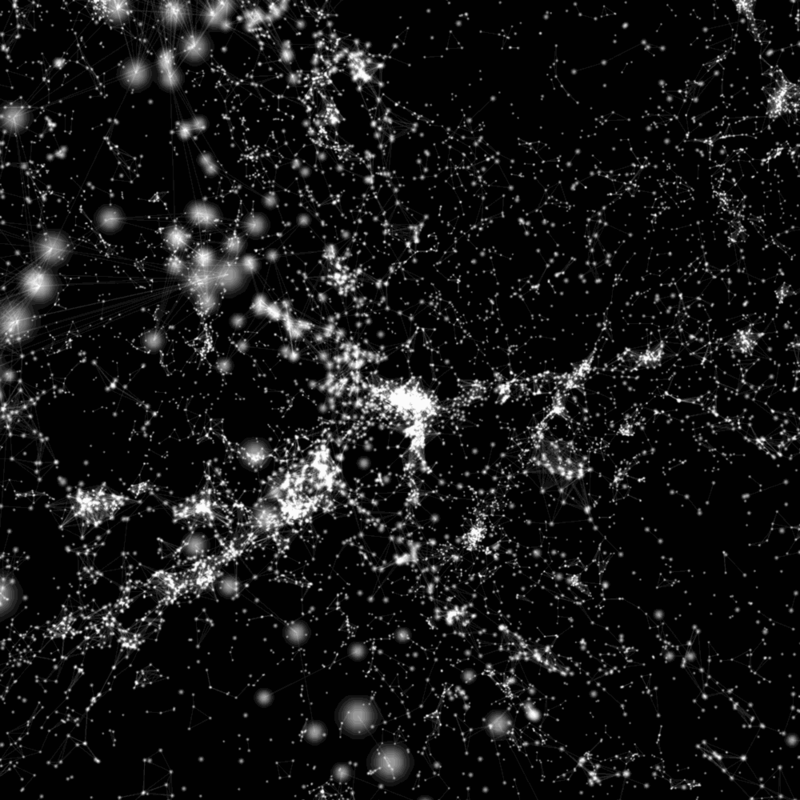 Immerse yourself in a network of 24,000 galaxies with more than 100,000 connections. 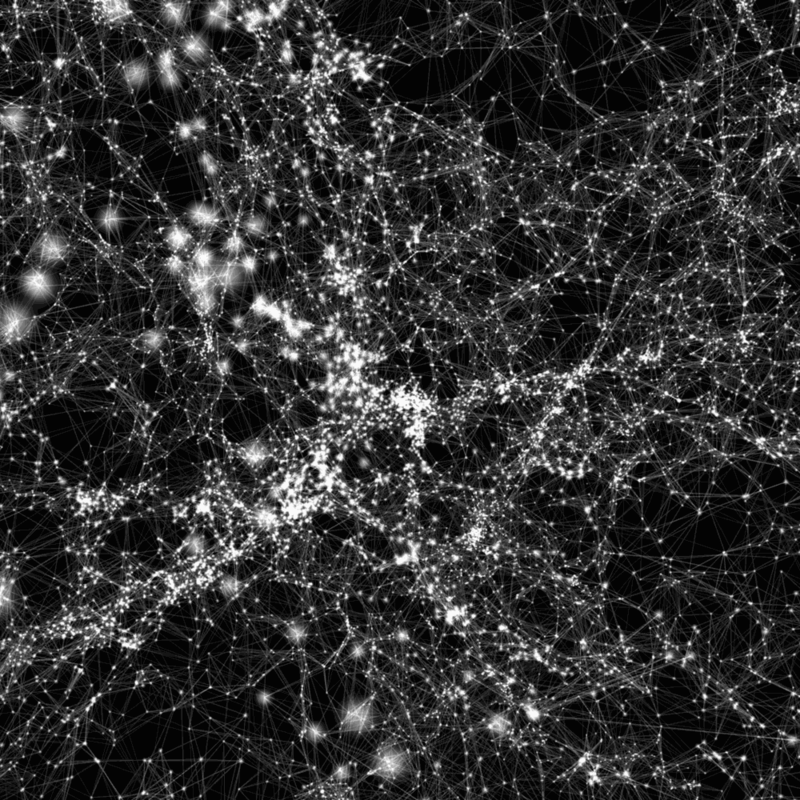 By selecting a model, panning and zooming, and filtering different, you can delve into three distinct models of the cosmic web. By clicking a model from the side panel, you can switch what type of connections bind galaxies together. You can rotate and zoom into the model. By clicking and dragging a region in the histogram, you change the number of connections per galaxy. 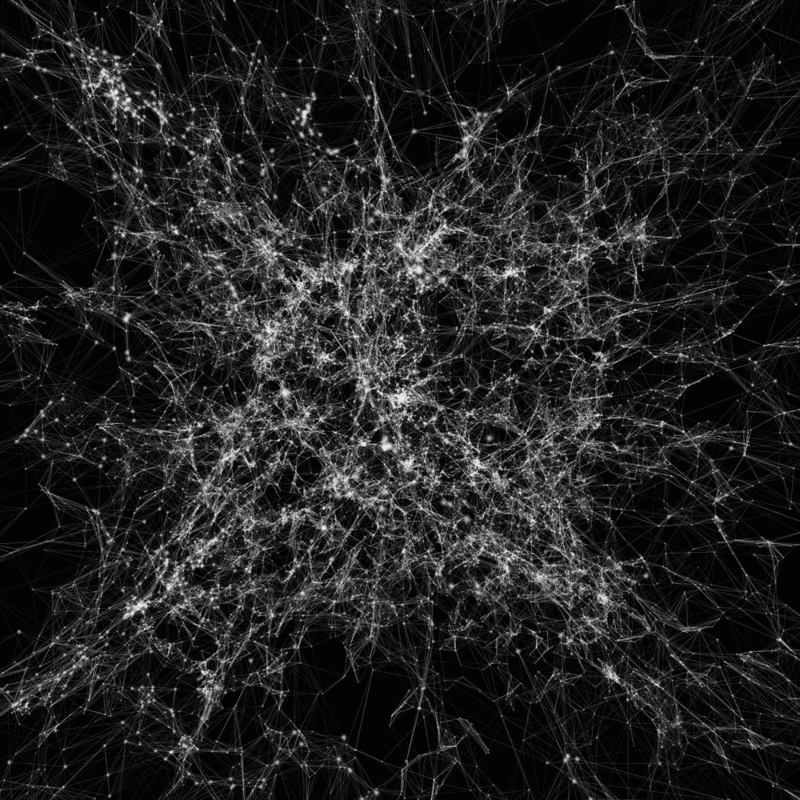 All galaxies within a set distance of l are connected by an undirected link. 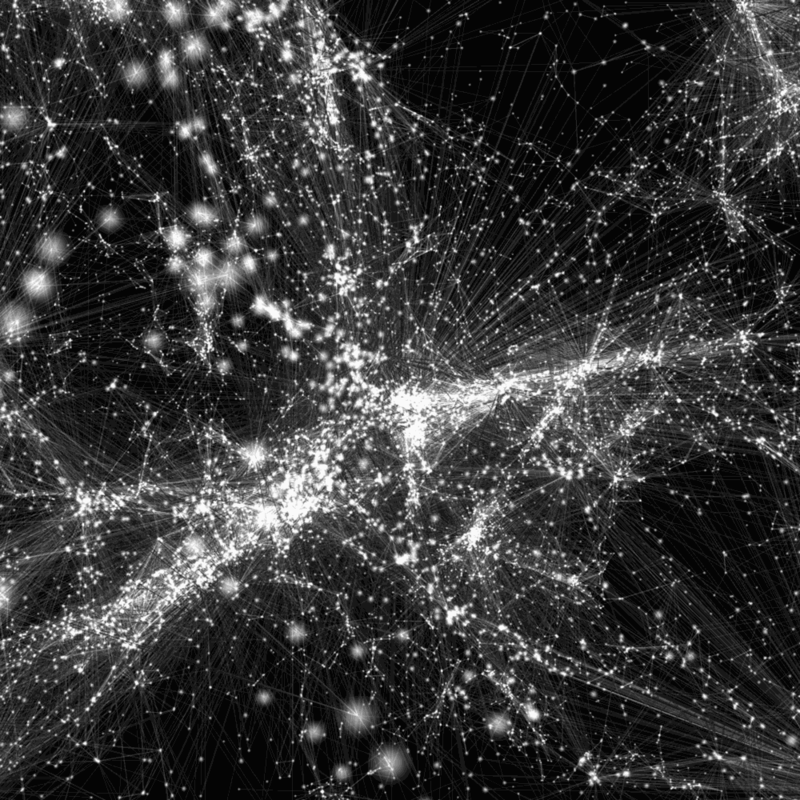 Each galaxy is connected to its closest neighbors with a directed links. In this model the length of each link depends on the distance to the nearest galaxy. Supported in part by the National Optical Astronomy Observatory (NOAO), the Radcliffe Institute for Advanced Study and the Institute for Theory and Computation at Harvard University, and the Foundation for Science and Technology Grant No. SFRH/BD/79723/2011.